The small London throughfare known as Lamb’s Buildings is named after a tenement built there about 1770 by a local businessman called Thomas Lamb (1752-1813), a cloth dyer and a manufacturer of buckram – a fabric of coarse linen stiffened with gum used both by tailors and bookbinders. The buildings currently at the junction of Lamb’s Buildings and Errol Street (shown below) also date from about 1770 but no direct connection with Lamb is known. Mr Lamb’s business was just around the corner in Sword Bearer Alley, that name perhaps deriving from the nearby premises of the Honourable Artillery Company (est. 1537). By the 1790s Sword Bearer Alley had become known as Lamb’s Passage (Sun Insurance Records CLC/B/192/F/001/MS11936/400/639811), and so it is today. The brewer Samuel Whitbread (1720-96) lived here for a while in the mid 1700s while setting up his famous brewery in the adjacent Chiswell Street. 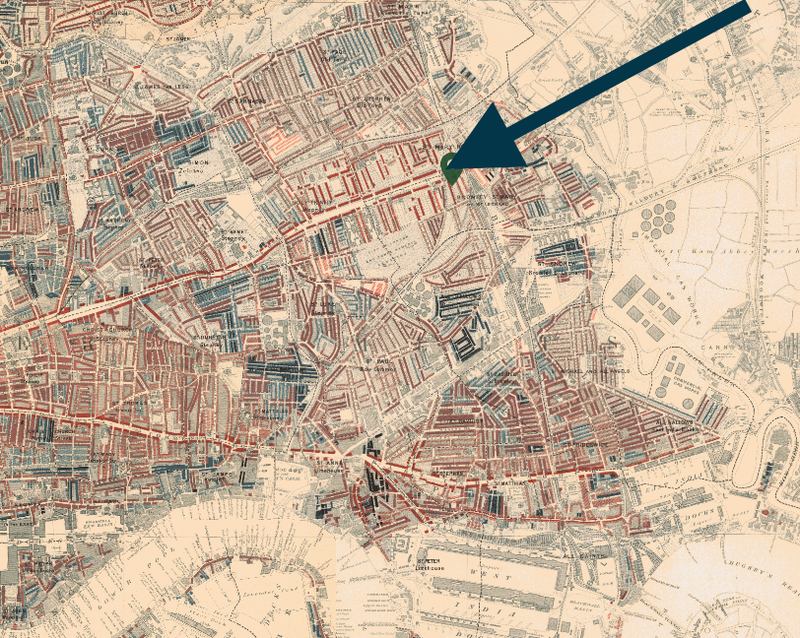 Even in the late nineteenth centry the area was inhabited mainly by the well-to-do middle classes, which is clearly shown on Charles Booth’s “poverty map” (above), indicated by the red blocks. In 1815 a plot of land on Lamb’s Buildings was bought by the Associated Catholic Charities to establish an orphanage and schools. A school chapel dedicated to St Joseph was listed in the Catholic Directory from 1850, doubling as a public place of worship. The present St Joseph’s School building was erected in 1901 with a chapel in the basement. The school closed in 1977. The interior of St Joseph’s Church, Lamb’s Buildings, London, EC1: the west end. Stained glass window ‘The Agony in the Garden’ (maker unknown) in St Joseph’s Church, Lamb’s Buildings, London EC1; originally in the early nineteenth-century church of St Mary Moorfields. The interior of St Joseph’s Church, Lamb’s Buildings, London, EC1: the east end. At the west end of the church, against the south wall, sits an attractive one-manual organ. A small builders’ plate on the organ declares the instrument to be by the firm of Nicholson, but it gives no date. This looks to me like it might be a Nicholson & Co (Worcester) Ltd organ which was built in 1973 as an exhibition organ for the St Albans organ festival of that year. It had a Mahogany case with provision for one extra stop (it appears a Dulciana has been added) but I remember it for the 2ft conical flute and Quartane. It was for sale for £3,000 (plus vat if applicable) and was described as a one manual tracker action traditional English organ. Compass C-f3; 66″ x 30″ x ?”. 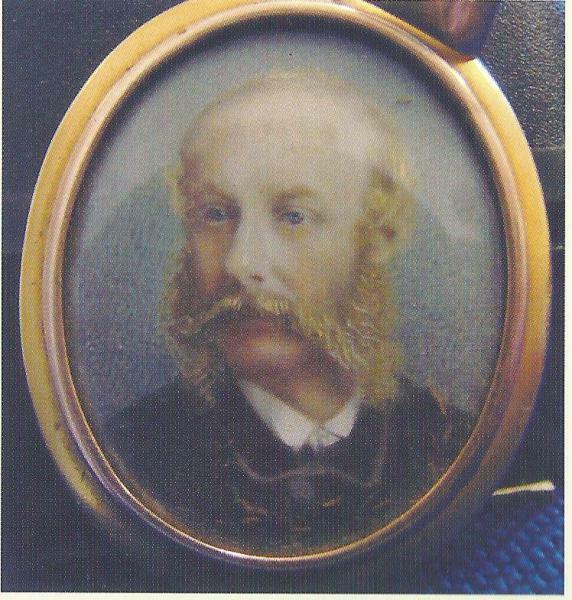 Thus armed, I made contact with Nicholson and Company Limited and folk there were able to shed further light. Specifically, that following the organ’s appearance at St Albans in 1973 it eventually returned to the factory until c.1980 when it was supplied to the church of St Mary the Virgin, Warwick, during work on the organ there. After this it found another home at the church of St John the Baptist, Fekenham, near Redditch. It was then sold to a church ‘down south’ around 2001, presumably to St Joseph’s.